Seeking to prevent graders from pandering to the bond issuers, who pay for the ratings, the rules include a strict prohibition on allowing sales motives to influence them. 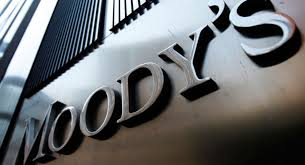 Moody's is one of the credit rating agencies that will face new rules. Aug. 27 (Bloomberg) — Credit-rating firms, whose lapses played a central role in the 2008 financial crisis, will face new restrictions on conflicts of interest under rules adopted by the U.S. Securities and Exchange Commission.